E is for Explore! : Shake and Number Bond! Help kids with number sense (understanding parts and wholes) as well as fractions! All you need is a cup with a lid and two-sided counters (a color on one side and a different color on the other). Kids shake the cup and pour the counters on the table. Then, without flipping any of their counters over, they count how many of each color landed face up. 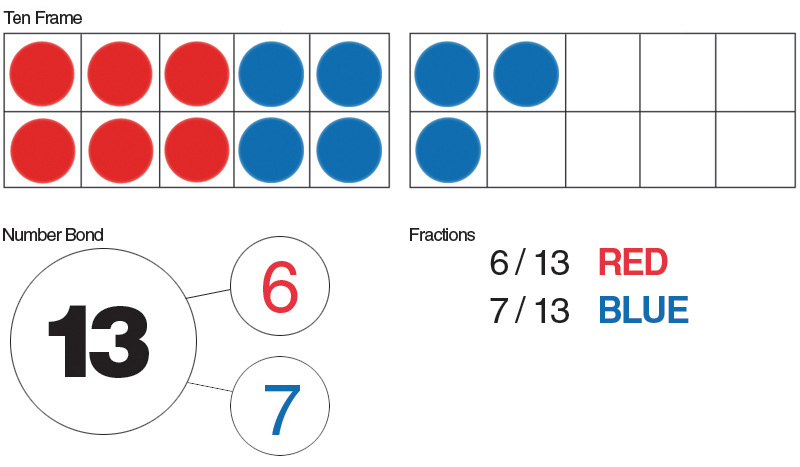 For example, 6 red and 7 blue landed face up, with a total of 13 counters. Six and seven are both parts of thirteen (the whole). Not only does this game help with addition skills, but also with fractions. Have kids write the number bond and fractions for each color. Note: You could also use ten frames with this game. After kids spill their counters on the table, they place the counters on ten frames. 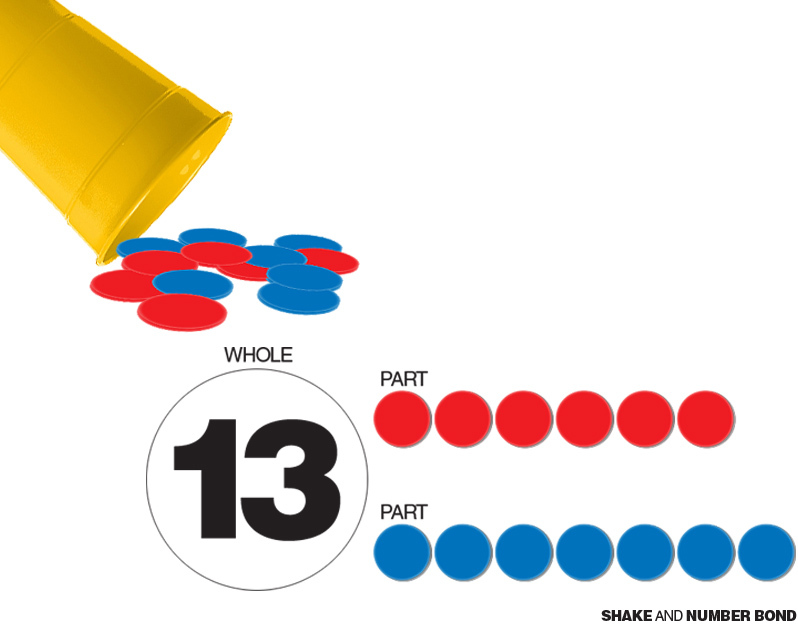 Kids see that 13 equals 1 ten and 3 ones, which helps with place value skills! Have kids compare their number bonds. One friend could have 9 red and 4 blue. While someone else ended up with 3 red and 10 blue! Kids see various combinations of two numbers that equal the same whole: 13. If you want to take the activity further, you could have kids write out the fact family for their number as well. However, this would take the fun out of the game!